For all climbing courses you have to sign at least three days before the course. You can mail us at lezeckastena@lezeckastena.sk or make a call. At the end of each course, you can stay on the wall and climb until closing! The price includes – entrance fee, rental fee of climbing gear (harness, rope, chalk bag with chalk inside, climbing shoes and figure 8 or belay tube) and instructor. At the end of the course, you can stay on the wall and climb until closing! This type of course is for all new visitors and climbers – beginners. If you have no or little experiances with climbing and you want to learn some basics, this course is what you need! 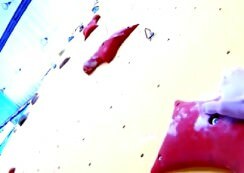 We teach basics of climbing with top rope. Top rope is the most safety way how to learn climbing. After mastering climbing with top rope, you will be able to climb with others and belay them. There is a possibility to extend your climbing skills. You can sing up to an advaced climbing course – Leading. The course is designed for climber who passed the course for beginners or for those who know how to belay! After passing the course for beginners (Top rope) you can sing up for the advanced climbing course. 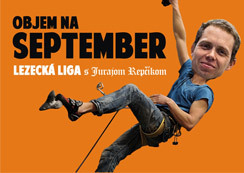 Those who want to skip the beginners course must know: How to belay top rope climbing, Basic using technique of the climbing gear and know how to attach to the rope.